Perry Auto Group: Is the Jeep Woody Wagoneer Making a Glorious Comeback? Is the Jeep Woody Wagoneer Making a Glorious Comeback? ELIZABETH CITY, NC - Jeep fans, hold onto your seats because we have some potentially JAW DROPPING NEWS! Is the Jeep Woody Wagoneer making a glorious comeback? According to Autopark Chrysler Jeep, a blog out of N.C, it is! We can hear the collective gasp from Jeep fans everywhere, we even gasped ourselves! To quote Autopark Chrysler Jeep, "The Jeep Grand Wagoneer, fondly known as the Woody, is finally returning"—Cue angels singing— "And we couldn't be more excited; 2018 is still more than two years away from now, but we couldn't wait to write about it." A Chrysler rep would neither confirm nor deny (typical) the Woody's rumored return, stating only "unfortunately we cannot discuss future product plans." However, many automotive industry insiders have known of the rumors circulating the return of a Woody comeback for some time now but this time however, the words seem legit. What drew so many drivers to love the Woody is the tell-tale side panels and hatch with plastic laminate trim that resembles actual wood panels. These panels liken the Woody to early midcentury American cars like the Ford County Squire. It is a classically timeless look with a uniquely elegant design which seems to just draw people in. The Wagoneer was first introduced in 1963 and it combined the ruggedness of a Jeep with the comfort of a sedan which inadvertently invented the sport utility vehicle. 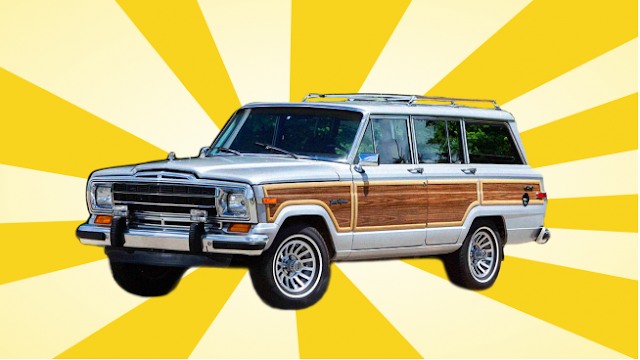 So, is the Jeep Woody Wagoneer making a glorious comeback? We believe so, don't expect any "official" news from Fiat Chrysler Automobiles before 2016 or 2017. You can count on your Camden area used car dealership to keep you updated on ALL Jeep news! Stop by to check out our current used and new Jeep models, or to get your vehicles tuned up for those last few road trips of the summer! Perry Auto Group has two dealership locations to serve you better at 1005 W. Ehringhaus St, Elizabeth City, NC, 27909 or 1001 Halstead Blvd Elizabeth City, NC 27909. Stop in for any of your auto or community needs, or feel free to give us a call at (252) 338-9100.